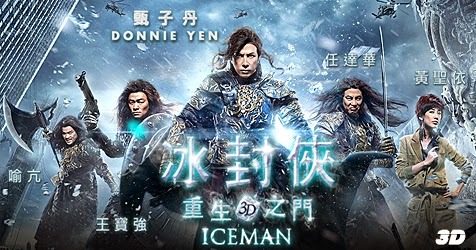 Home / MOVIE TRAILERS AND INFO / Watch the Official Trailer of "Iceman"
Watch the Official Trailer of "Iceman"
Iceman revolves around a Captain America-like character portrayed by Donnie Yen. He was tasked with bringing a mythical time traveling back to the Ming emperor. He was betrayed, and subsequently frozen. The heroic role and his evil foe (Wang Baoqiang) lived during the Ming Dynasty. Both were frozen during a fight and were defrosted in modern day Hong Kong where they continue their battle. He Ying, Sao (Wang Baoqiang),and Niehu (Yu Kang) are being transported in cryo-stasis pods, when an unforeseen accident sets them free. The three of them escape into the city to fulfill their tasks. Niehu and Sao are dead set in exacting revenge on He Ying, despite not understanding the new world they woke up in. He Ying soon befriends May (Huang Shengyi), who takes advantage of He's confusion at the modern world by charging him extraordinary amounts of money for rent, food, and so on. Niehu and Sao unknowingly helps 2 Indian mobsters escape the police, and as a result joins the Indian mafia. All the while, it is slowly revealed that Cheung (Simon Yam) is the one who is looking for the trio, but in particular He. Through various flashbacks, it is revealed that all 4 of them were blood brothers who fought side by side, before He was betrayed and charged with treason. After several hilarious encounters in the modern world including meeting May's mother, fleeing custody of the police (using his master martial arts skills), and the use of technology, He starts to put together who is ultimately hunting him down. 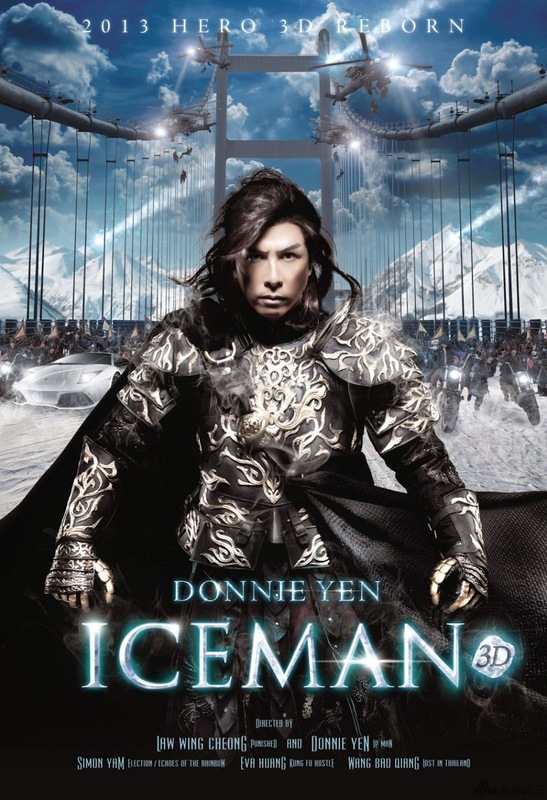 Iceman, formerly known as The Iceman Cometh, is a 2014 Hong Kong-Chinese 3D martial arts action-comedy film directed by Law Wing-cheung and starring Donnie Yen, who also serves as the film's action director. The film is a remake of the 1989 film The Iceman Cometh which was directed by Clarence Fok and starred Yuen Biao, who was earlier reported to join the film. Donnie Yen hand-picked Jam Hsiao for his unique voice and deep emotions to sing the mandarin theme song. The Cantonese version is sung by Hong Kong singer and actor Julian Cheung.